St. Martin's Griffin, 9780312552213, 448pp. A top-secret prototype stealth fighter is destroyed during a test flight. Witnesses on the ground say that it was shot down by a craft that immediately vanished at impossible speeds. All over the world reports of UFOs are increasing at an alarming rate. And in a remote fossil dig in China dinosaur hunters have found something that is definitely not of this earth. There are rumors of alien-human hybrids living among us. 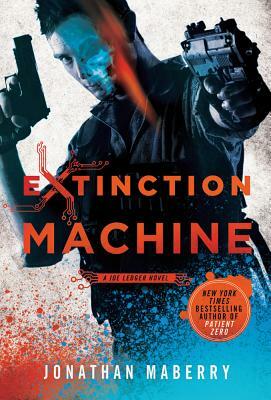 Joe Ledger and the Department of Military Sciences rush headlong into the heat of the world's strangest and deadliest arms race, because the global race to recover and retro-engineer alien technologies has just hit a snag. Someone—or something--wants that technology back.